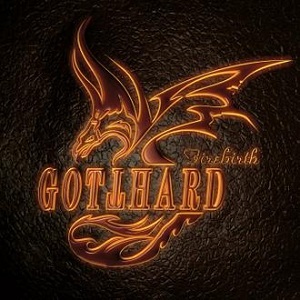 Firebirth is the new album from Swiss rockers Gotthard. It's an album that for a while many people thought would never be made - after the tragic death of the bands singer, Steve Lee in 2010 it wasnt clear whether the band would continue or would go their separate ways. Luckily for fans the band decided that they'd look for a new singer and if they found the right man then they'd carry on. Thankfully they found Nic Maeder and he has joined the band as their new vocalist. After so many years with the same singer then any change of singer is a big change for fans to get used to as the vocals can have such a huge effect on the sound. Gotthard released the song "Remember it's me" which got a great reception from the fans, which must have been a huge relief for the band. The album opens with the current single, "Starlight" - a great song, but by no means a standout track - the whole album is incredibly strong and it's hard to pick a favourite - with one exception. "Where are you" is dedicated to Steve Lee and is an emotional song - so much so that Bassist Marc Lynn says he finds it hard to listen to and often skips that song when he listens to the album. The song is the last song on the album and there is a slightly longer than normal pause between it and the preceding song, so if any fans find it hard to listen to then they have time to skip it. For me this is the best song on the album, and it would be a shame to skip it. It's a superb song and a beautiful tribute to the late Steve Lee. As for the rest of the album - well you should listen to it yourself and make your own mind up. I think the whole album is excellent, and think most fans will agree. In my opinion, this album is fantastic - and shows that in Nic Maeder they have found a worthy replacement for Steve Lee. They've gone for a slightly more raw, live feeling sound rather than the very polished sound of recent albums, and this gives them a sound more like their earlier albums. This is an album that all Gotthard fans need to get, and one that most rock fans should listen to - it's a great album. Firebirth will be released on 1st June via Nuclear Blast records.